Seven years have passed since the Palestinian polity was divided between Fatah and Hamas in 2007. During this long period, public anger toward the leaders of the conflicting parties has continued to increase, along with the deterioration of the social, economic, and political conditions in Palestine. This division has torn at the fabric of the Palestinian society and endangered the Palestinian goal of ending the Israeli occupation and establishing an independent Palestinian state on the 1967 borders. 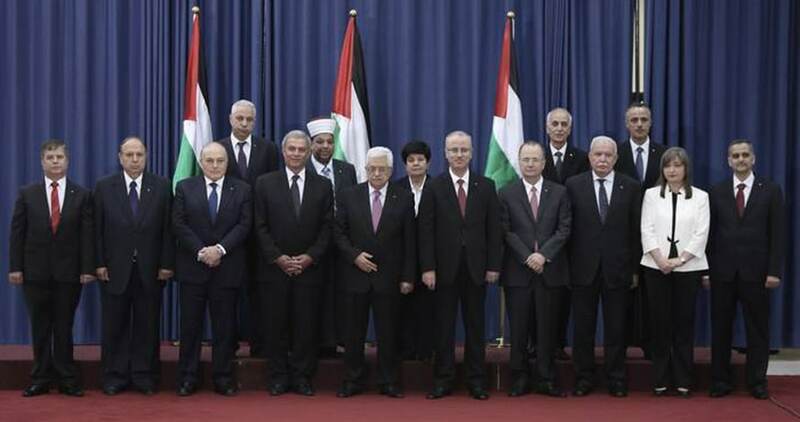 In April 2014, the two sides signed a historical reconciliation agreement, later known as the “Beach Camp Agreement.” The parties agreed to form a government of national consensus consisting of 17 ministers, including four from the Gaza Strip. The latter were unable to take oath in person before the Palestinian president because the Israeli forces prevented them from traveling to the West Bank through the Erez Crossing; they had to take oath via video conference. The majority of the ministers were from the West Bank, including some from the outgoing government. Vice-deputy ministers Mohammed Mustafa and Ziad Abu Amr and Foreign Affairs Minister Riyad Al-Maliki kept their positions in the new national government, presided over by the prime minister, Rami Hamdallah, who also retained his previous position. The Palestinian government of national consensus is characterized by the independence of all its members, who received the support of both Fatah and Hamas. This allowed the government to be recognized by members of the international community, who mostly welcomed this government, despite Israel’s attempts to bring it down because of the involvement of Hamas, which it considers a terrorist organization. Curiously, however, Palestinians were both surprised and unconcerned by how quickly the reconciliation agreement was signed between Fatah and Hamas, the two rival powers, especially given their disappointment and frustration over the constant failure of the many negotiations and meetings held by Palestinian reconciliation committees and Arab mediators inside and outside of the Gaza Strip to settle the fundamental differences between the two movements. This time was entirely different: the representatives of Fatah and Hamas signed the historical reconciliation agreement in one day. Why did the parties consent to a serious and rapid reconciliation and the formation of a new government, after many failed attempts? Hamas incurred many losses and financial burdens during its administration, and it had been unable to pay the full salaries of the employees of its government for the preceding six months. Furthermore, following the closure of the tunnels under the Egyptian border and the reduced funding provided to Hamas by some Muslim countries, Hamas began to feel the pressure of its financial deficit. The leaders of the movement saw that it would be in the best interests of Hamas to transfer to the new government its financial and administrative responsibilities to the Gaza Strip, while retaining the same security structure it had established in Gaza. This would enable Hamas to focus more on funding the resistance units in its military wing. Another reason for Hamas’ agreement to the reconciliation was its wish to improve its image among Palestinians after having been accused by some political factions of playing a part in the division and the fragmentation of the Palestinian cause. Through its reconciliation with Fatah, Hamas hopes to increase its popularity, especially in the West Bank, by promoting itself as a resistance movement. At the same time, it has not hidden its intention to run a candidate for the presidency in the event of new presidential elections. Dr. Osama Hamdan, Hamas’s international relations officer, revealed to Al-Risala Newspaper that the movement is studying the possibility of participating in Palestinian presidential elections. The most important reason for Fatah’s reconciliation with Hamas is the stalled peace negotiations between the Palestinian Authority and the Israeli government, in which Israel continues to demand that President Mahmoud Abbas recognize the Jewish state and make more concessions with respect to Jerusalem and the borders. This was met with Abbas’s strong refusal, especially because Israel has not yet released the fourth group of prisoners, much to the disappointment of Fatah. Fatah thus realized that it can retain its legitimacy among the Palestinian population only by reconciling with Hamas and making some concessions regarding the administration of security affairs in the Gaza Strip and the possibility of paying the salaries of the staff under the previous Hamas government. It is safe to say that President Abbas and Fatah considered the Palestinian reconciliation agreement a challenge to Israeli Prime Minister Netanyahu’s government and a powerful response to some members of the Israeli government who constantly questioned Abbas’s rule over the Gaza Strip. By signing the reconciliation agreement and establishing and heading the government of national consensus, he sent a clear message to the Israelis informing them that he does indeed govern Gaza, and they now lack the excuse or justification for refusing to negotiate with him in the future. The Israeli government has often promoted the notion that Abbas had lost his legitimacy as president and does not represent all Palestinians, in the West Bank and the Gaza Strip. 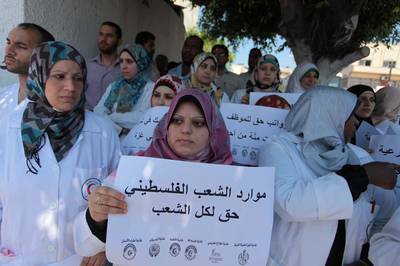 With the deterioration of the economy in the Gaza Strip, the rising fury of the citizens of Gaza, and the escalating protests of the Hamas employees who have not been paid in full for months, the reconciliation and government of national consensus are both under intense scrutiny. Banks in the Gaza Strip have closed their doors as a result of angered Hamas government employees demanding their full salaries, and the veteran employees of the Palestinian Authority demand the same. This presents the new government with a serious challenge, as it must now pay the salaries of 46,000 new employees, in addition to the veteran employees of the Authority. This is but one of the difficulties faced by the government of national consensus. The new government also has to negotiate with Egypt to open the Rafah Crossing and allow travel between the West Bank and the Gaza Strip, given that Israeli authorities have prevented the members of the government of national consensus from traveling through the Erez Crossing. 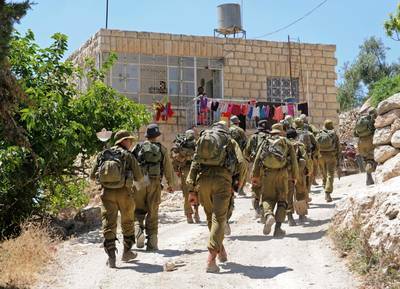 The unity government also faces huge security challenges due to the recent deterioration of security in the West Bank caused by the kidnapping of three young Israelis , which prompted Israel to launch a major military campaign in Hebron and throughout the West Bank. This came as a huge embarrassment to President Abbas, who was asked to cooperate directly with Israel in accordance with the security-coordination agreements concluded between the Israeli government and the Palestinian Authority. It thus became a test of the resilience and endurance of the Palestinian reconciliation, given that the Palestinians are already accusing the Palestinian Authority of collaborating with the Israelis to return the abducted Israelis. President Abbas declared, during the Islamic Conference of Foreign Ministers in Jeddah, Saudi Arabia, that security coordination with Israel is necessary and serves the interests of the Palestinian people. He added that he will hold the kidnappers accountable, because he believes that they hoped, by the kidnapping, to return chaos to the Palestinian territories. This makes it clear that the reconciliation between Fatah and Hamas might well deteriorate, especially because the Palestinian Authority in Ramallah senses that Hamas might be planning a third Palestinian uprising in the West Bank that would threaten its rule in the West Bank and disturb the politics of the region. At the beginning of July 2014, it cannot be assumed that the Palestinian reconciliation will succeed and prosper. Rather, it faces the risk of disintegration and division and may be aborted at any moment by either party. Everyone is waiting to see what will become of the unstable security situation in the West Bank and the deteriorating economy in the Gaza Strip, as the outcome will directly affect the reconciliation agreement between Fatah and Hamas.